Elise woke up smiling after her first night of tent camping. My partner, Tristan, and I have been excited to take our daughter, Elise, camping since she was born. Sharing our passion for nature and exploration has long been part of our vision for family life. 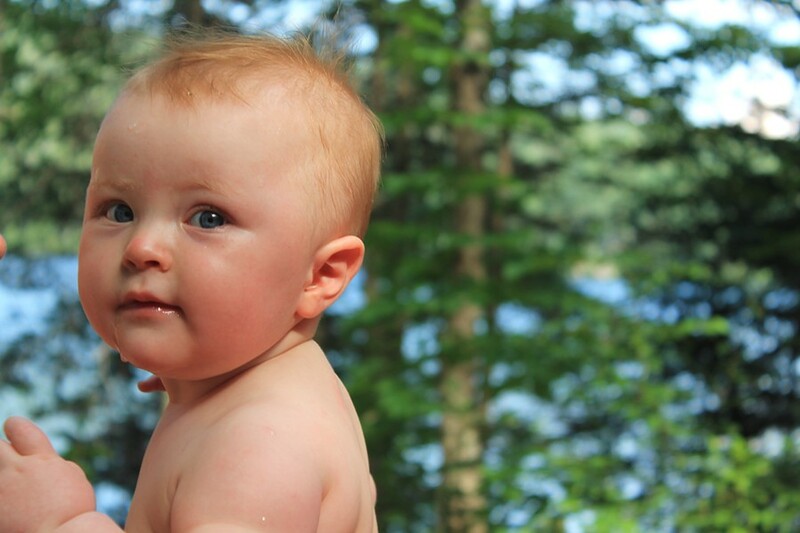 We waited until Elise was 8 months old for her first camping trip. I was nervous that she wouldn't like it or would be scared to sleep in a tent, but —despite some interrupted sleep — our first foray into camping was a success, and we learned a few lessons along the way. We took advantage of a free, mid-week afternoon with nice weather to pack up and head to nearby Groton State Forest, about 10 miles from our house. There are five beautiful state parks that offer camping there. 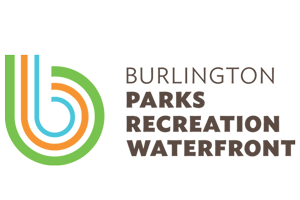 We chose to stay at Ricker Pond State Park, at a campsite right on the water. Setting up camp with a baby was a new experience. We awkwardly juggled all of our responsibilities: keeping Elise safely occupied, changing a very messy diaper, setting up the tent, rolling out the sleeping bags and getting dinner going. Eventually, we sat down to an early meal of sandwiches, chips and lemonade while Elise chowed on spoonfuls of mashed fruit and cereal. After dinner, we took a hike, with Elise in the hiking carrier and our dog, Odin, trotting along beside us. We walked up the camp road to the Cross Vermont Trail and, after a short distance, turned onto an unmarked side trail. We meandered along a stream through mixed deciduous and conifer forests. After about a mile we came to a granite outcropping that sloped down to another bigger and very beautiful stream with deep, bubbling pools of water. We spent some time sitting on the rocks overlooking the stream, pointing out ducks to Elise and watching Odin paddle around. The sun was setting over the lake upstream and we could see glimmers of the warm colors through an opening in the trees. Not wanting to be caught in the dark, we hoisted Elise back into the carrier, called Odin out of the water and hiked back to camp. On our way back, we enjoyed some blueberries we found along the trail. Back at camp, we had the daunting task of putting Elise to bed in an unfamiliar spot. She was starting to show signs of fussiness, so I put her in the tent to play with some toys, unwind and get comfortable in this new setting. After a little while I laid down with her to read a story and nurse her but, even after both of those things, she was still squirming around. So I played some quiet music on my phone and rubbed her back until she fell asleep. Once Elise was down, I joined Tristan by the fire he had started. We each drank a cold beer and made some S'mores. We listened as loons called across the lake and an animal we couldn't see fished along the shore below our campsite. Odin fell asleep next to us by the fire. Eventually we joined Elise in the tent and settled in for the night. Unfortunately, I didn't sleep very well because I was listening for Elise to wake up — which she did five times. Each time she fussed a bit and I soothed her back to sleep. At first, I was worried about waking other campers from neighboring sites. But when I heard the cries of a toddler we met earlier just a few campsites down, it put a little smile on my face. Another mother and baby were learning to camp together, too. We woke up in the morning around 7 a.m., packed up and headed back to our house for breakfast and coffee. On the car ride home, we were already making plans for our next camping excursion. Start with car camping, then move to backpacking if remote camping is more your style. 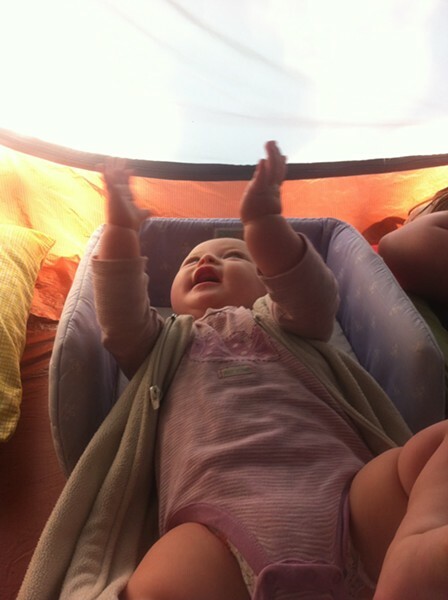 Sleeping in a tent is something I would rather familiarize my baby with using as many comforts from home as possible. We'll save the minimalist trips for when she's gotten the hang of outdoor living. Take your first camping trip close to home. Tristan and I agreed that if Elise hated it and cried all night, we would take her home and come back in the morning for our things. Camping in the backyard is a great way to do a trial run. Organize your camping gear ahead of time. A tote with all the essentials is key. We forgot so many items it was ridiculous, including a bowl for Elise to eat out of. Bring something safe for baby to sleep in. We used a co-sleeper designed to fit in a bed that provided a firm but cushioned surface and secure walls on either side to keep Elise from rolling into our sleeping bags. Pack familiar bedtime items like toys and books. We brought a favorite soft toy and light-up frog that Elise particularly enjoys, and those seemed to provide some normalcy for her. Dress your baby in their usual bedtime clothes, too. Bring more wipes than you think you'll need. I was amazed how many we went through cleaning dirty faces and hands and wiping off toys that fell in the dirt. Pack children's Tylenol and Benadryl along with the instructions for using them for babies. Allergic reactions and fevers can crop up quickly, and you'll have some peace of mind if you're prepared. Most importantly, keep a sense of humor and be flexible. You're not going to get it just right on the first attempt!